Wow, we had such a huge response from our first Sydney ABCD Meetup. And it's that time again. 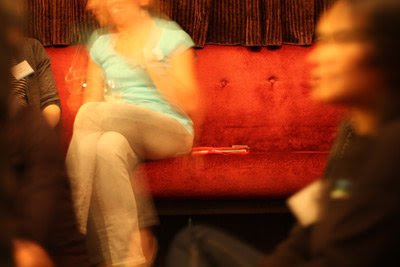 We would love to invite you to the Autumn 2011 Sydney ABCD Meetup. 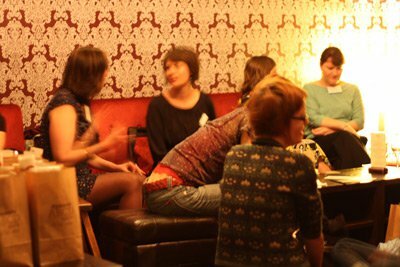 Created for artists, crafters and designers who blog, ABCD meetup is a casual get-together to encourage those of us who are more comfortable behind our computers to get out and meet some of our fellow design and art lovers. The ABCD meetup goodie bag is a great way to share a little about yourself and help your new friends remember you after the event. At the last meetup the goodie bags were chock-full of handmade goodies and sweet momentos. If you would like to join in and make something for the goodie bag, please comment "GOODIE BAG" along with your RSVP by 21st March, so we know how many we'll need. Goodie bags will only be provided for those who participate. We will be hosting a real noticeboard at the meetup with space for participants to pin up notes and information to share with others - we see this as a tangible expression of our sense of community. You might like to share info, resources, wanted ads, requests, tips, or anything that you think will be helpful. (no self-promotion on the board please). 2. Join the ABCD Meetup mailing list. For those of you that aren’t on Facebook we have created a mailing list. You can choose if you would like to receive news about the Brisbane or Sydney meetups. ABCD stands for [Artists + Bloggers + Crafters + Designers] and the quarterly meet-ups are an informal way to meet other folks with similar interests in the online space. Rather than being a networking event, these are simply a few quiet drinks with other creative bods; a chance to make a friend or two, and be inspired by what others are doing. All folks attending are given a sticky name badge, a welcoming hello, and a warm, friendly environment. And, if you feel like it, you can add a little creative reminder of you to the ABCD goodie bags that everyone is offered to take home. You can find photos and posts about previous ABCD meetups on the Facebook page, as well as on Bondville and Udessi. We would love to meet you; please come along. yes please I would love to come! (Sorry couldn't work out how to RSVP on facebook!) and i would love to contribute to the goodie bag. Any idea how many we should aim to make for? Let me know if i can be of any help in the lead up. I have to check your dates but we are back in Sydney... 5 mins away if that from you steph... lol... CRAZY. Looking forward to it Steph! ooh it sounds like fun! i'd love to come along to the Brisbane meet next! Jane - what a great idea! Steph, Chantal and Kate - see you there. Yay, girls - count me in and GOODIE BAG from me too. Fantastic idea. Do you know of anything like it in Melbourne? count me in, looking forward to saying hello to everyone and putting a little something in the goodie bags! I'd love to come again, thanks for helping to organise it! I'll try and think of something for the goodie bags- are we talking 20 or something like that?